White to yellow crystalline solid. 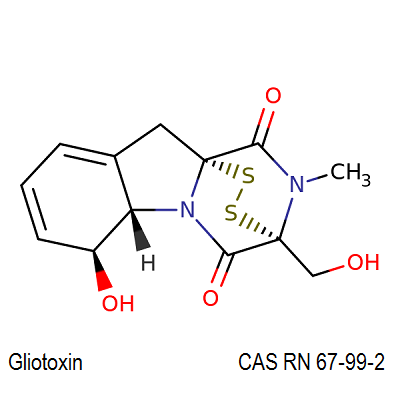 Gliotoxin blocks the thiol groups in the membranes . Gliotoxin induces apoptotsis in macrophages and thymocytes. Gliotoxin induces Ca2+ release from intact rat liver mitochondria.